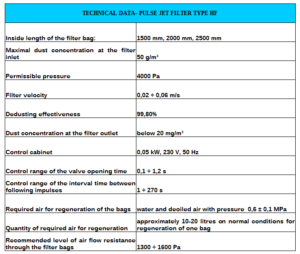 Horizontal pulse jet filters are second group of filters characterized by a filter bags in horizontal arrangement in the filtering chamber. 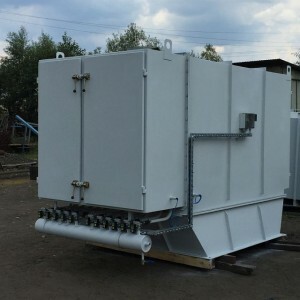 They can be used in low spaces and low height halls. 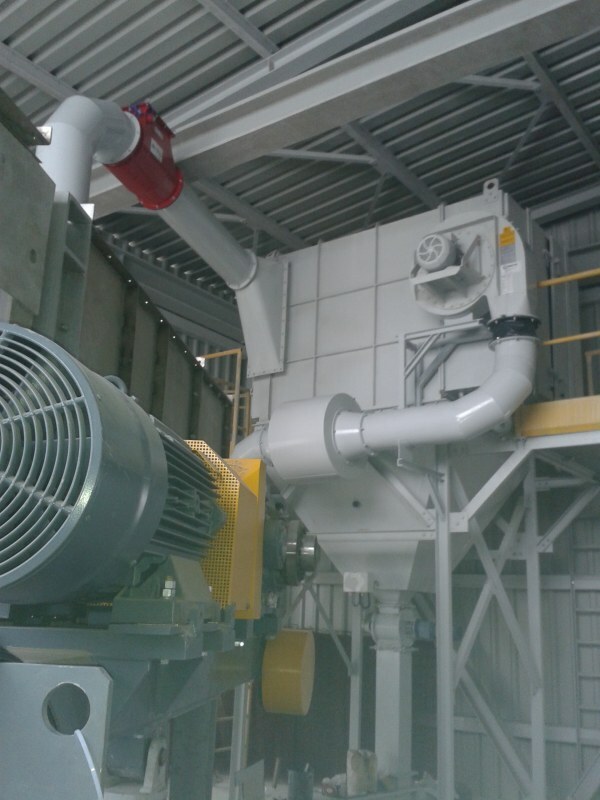 Due to horizontal arrangement of filter bags, the filtering chamber is lower comparing to filters with vertical bags. The lenticular shape of the filter bag and cage ensures bigger filtering surface in a filter of small overall dimensions . 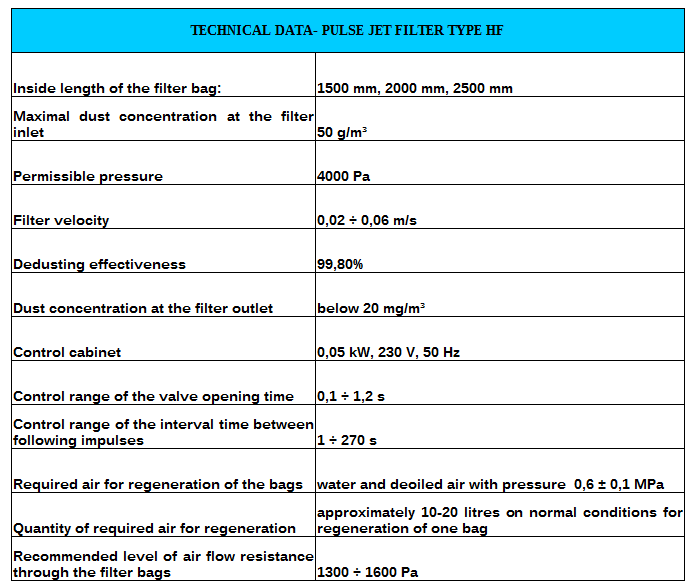 In result, these filters can be used wherever the height of the room does not allow you to install vertical pulse jet filter. 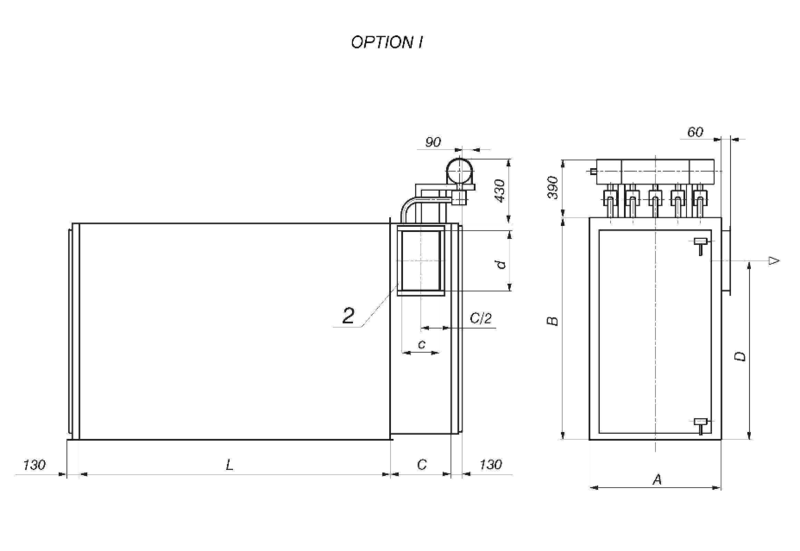 Devices can work both indoors and outdoors. 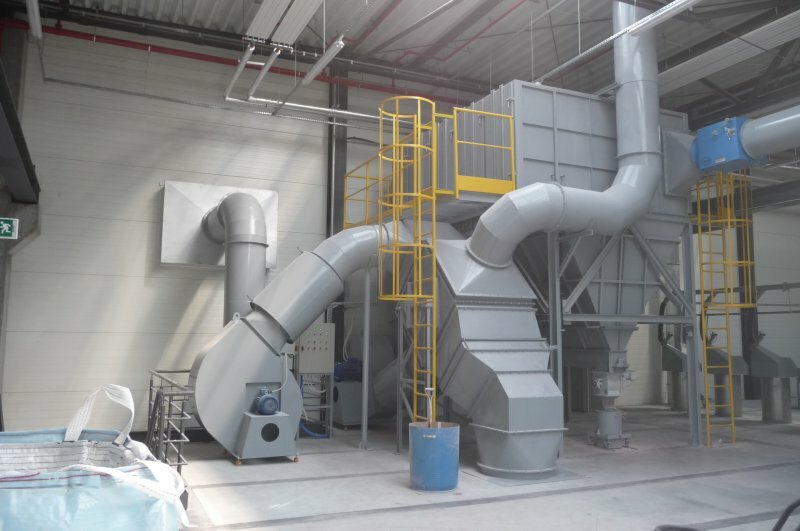 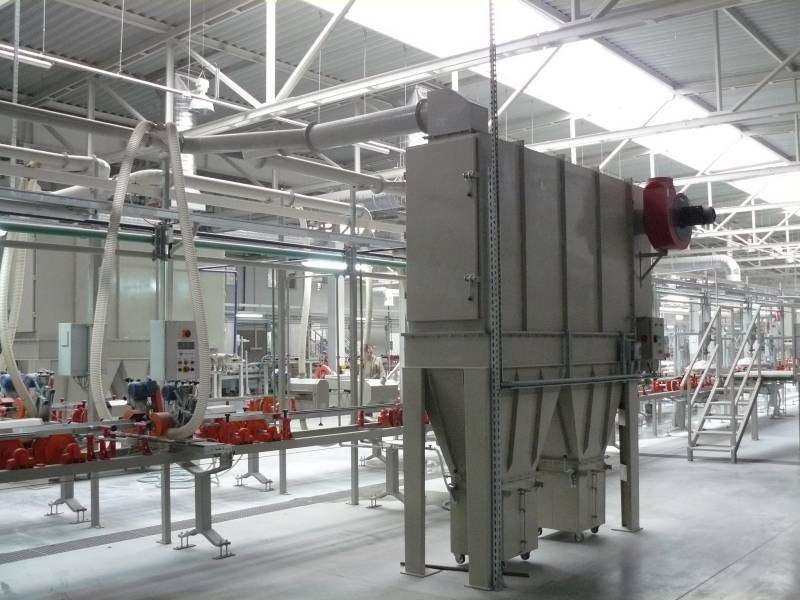 For each dust installation system ZTO is idywidually selecting filter type, filtration and regeneration parameters and type of non-woven filter. 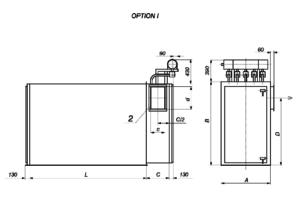 Option I – a purified air chamber with a filtering chamber and bags. 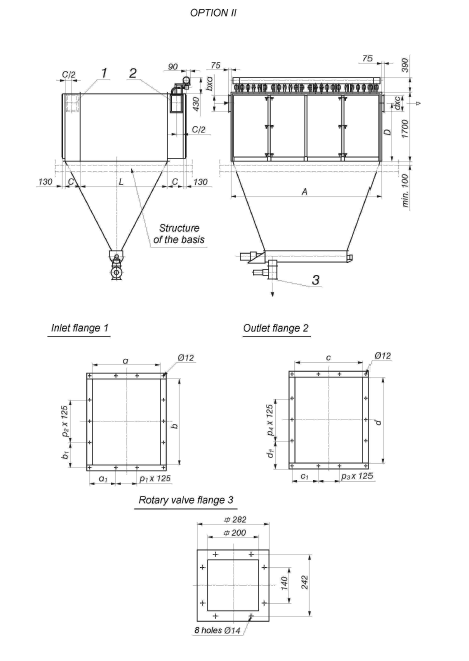 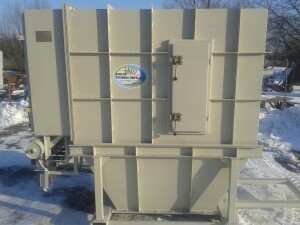 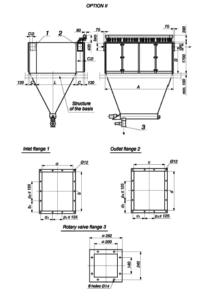 Option II – a purified air chamber with a filtering chamber and bags, chute with a conveyor and a rotary valve.